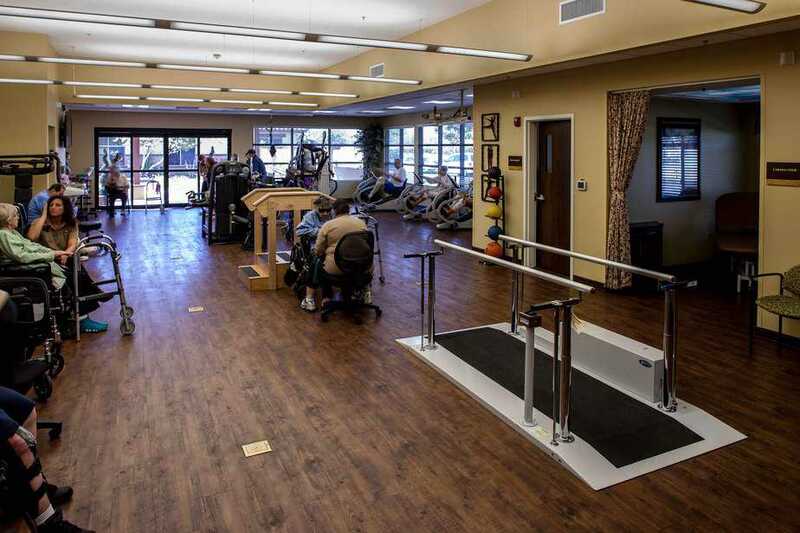 Welcome to Santé of Surprise, where our post-acute and short-term rehabilitation focuses on treating the mind, body and spirit so that our guests have the best opportunity possible to achieve wellness after hospitalization. Here, we believe an illness or injury can be life changing to the mind, body and spirit and emphasize treating the whole person rather than just their ailment, guided by personal care managers dedicated to you. Our transitional rehabilitation facility has been designed to be an uplifting, tranquil environment so that our guests—and their families—can heal. Santé of Surprise is a 5-star Medicare rated property and had a Deficiency- free Arizona Department of Health Services annual survey. Santé of Surprise has been awarded with the 2018 Bronze National Quality Award-Commitment to Excellence, presented by the American Health Care Association and National Center for Assisted Living.This award honors exceptional association members across the country that have demonstrated their dedication to improving quality of care for seniors and persons with disabilities. The Bronze Award application was challenging, and we met the criteria. Now, we are among the few and proud Bronze Award winners! • Only 531 out of over 15,000 skilled nursing facilities in the U.S. and only 10 out of 145 in Arizona achieved the prestigious Bronze Award in 2018. • In total, only about 15% of skilled nursing facilities in the U.S. achieved or were recertified for the Bronze Award. • All three of Santé’s facilities in Arizona that applied for the award were successful in winning the award. • The Bronze Award must be achieved before applying for the Silver Award. Now, Santé can go for the Silver Award in 2019! • Only 166 facilities in the U.S. won the Silver Award in 2018. In total, about 4% achieved or were recertified for the Silver Award. The comforts of home are important during the acute rehabilitation process, which is why the personal suites at Santé of Surprise have all the amenities necessary for a restful recuperation, including a kitchenette, beautiful private bathroom with granite countertops and a roll-in shower, high definition TVs, CD/clock radios, personal phones and ample room for overnight family members to get the respite they need as well. Private Suites: Soothing and comfortable, our private suites offer guests the comforts of home. Healing Garden With Water Feature: Provides a serene environment for contemplation and healing. We are changing the way people receive transitional care, including the cuisine. Since eating well contributes to living well, and nutrition is a critically important factor in recovery, Santé of Surprise’s dining facilities offer a wide selection of options from comfort food to fine cuisine—all while catering to our guests’ preferences and dietary needs using the freshest ingredients. Flexible hours (7 a.m. to 7 p.m. daily) allow you to dine at your convenience, and room service is available upon request or necessity during your short-term rehabilitation. Here, you will enjoy appetizing presentations, savory food and good company throughout your journey toward health. Santé of Surprise also offers gourmet coffee, smoothies, ice cream and snacks in our bistro.